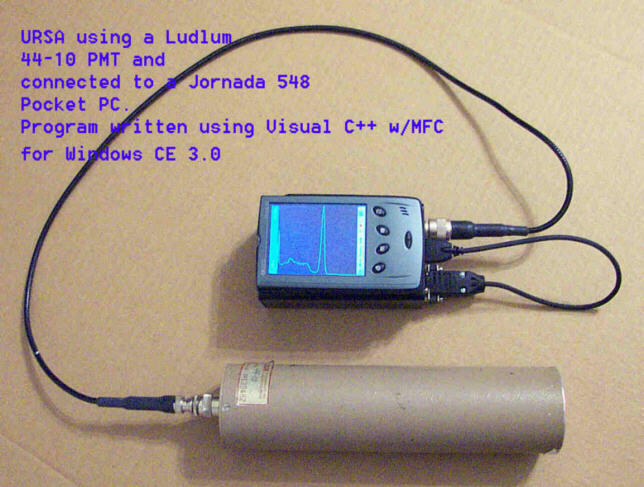 I found the Windows CE SDK easy to use, and was able to port over several programs with very little modification. 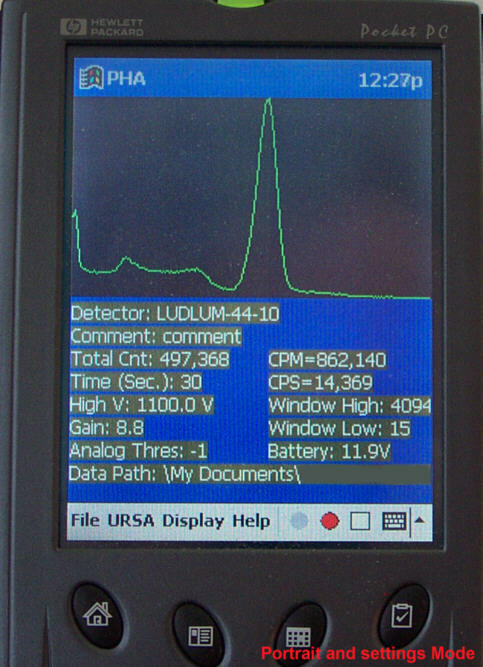 The first serious program I wrote was for the Universal Radiation Spectrum Analyzer. 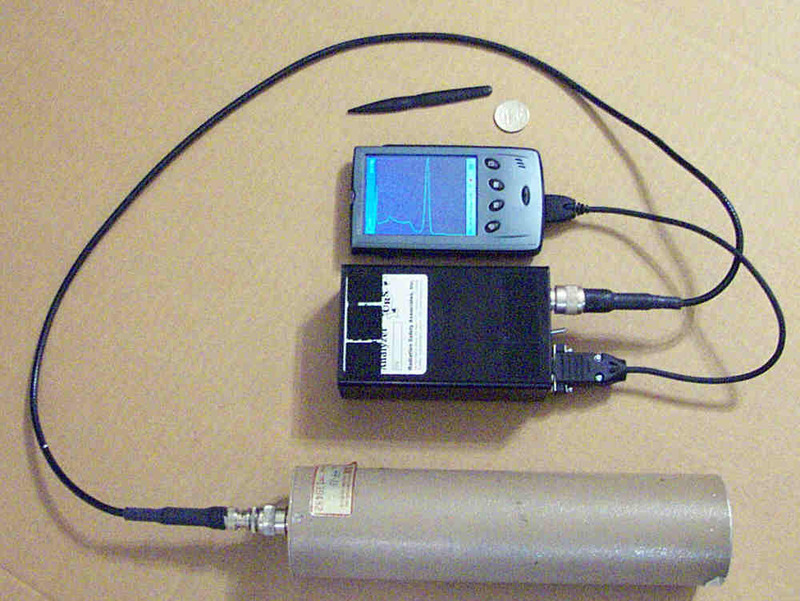 The Universal Radiation Spectrum Analyzer unit uses COM1 for communication and to be able to develop the program in a convenient and easy manner I did some modification to the target device connection cradle (HP Jornada 548) . 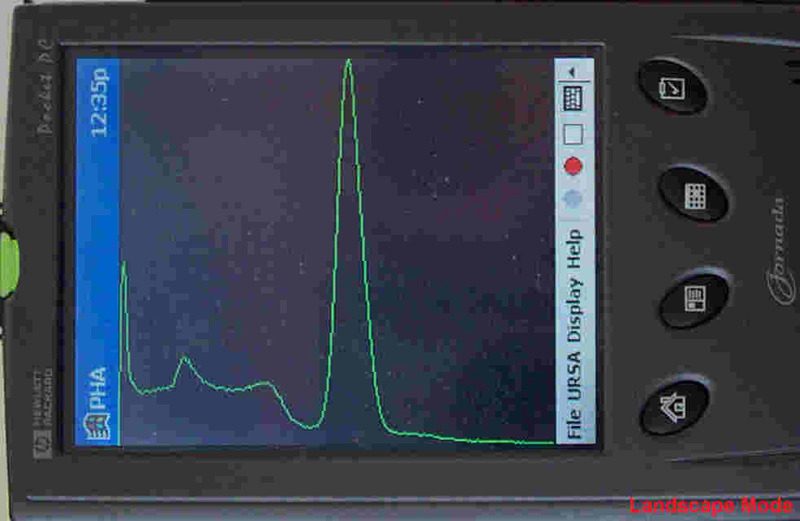 Here as a few screen shots of the Universal Radiation Spectrum Analyzer data collection and display program, this is the Beta version. Portrait mode with settings displayed. Line Plot mode. The "wiggle" is the result of moving the source closer and farther away from the detector. This is not a spectrum it is simply a line plot of Counts Per Minute and would normally be used for searching. 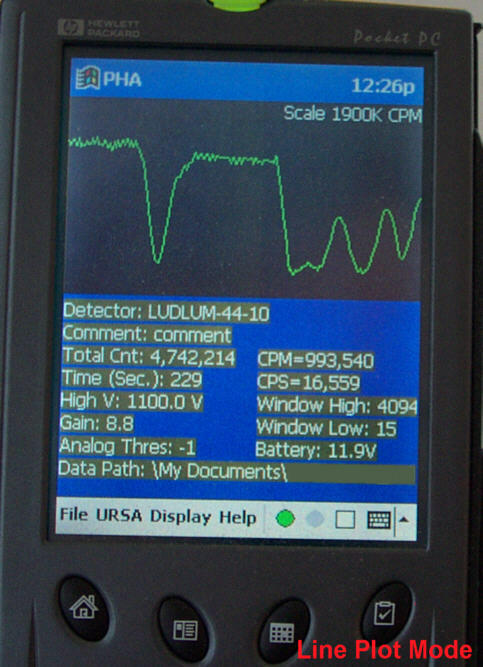 The HP Jornada, Universal Radiation Spectrum Analyzer, and a Ludlum Detector. With the help of some Velcro perfect fit ! Makes a nice compact field unit, everything runs on batteries. (C)Copyright 2001,2005 Hans Wedemeyer, Houston, Texas, U.S.A. All rights reserved. All trade marks are the the property of their respective owners.